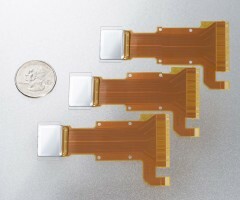 Victor Company of Japan (JVC) announced that it has extended its D-ILA (Direct-Drive Image Light Amplifier) lineup with the development of a new microdisplay device. The new 0.7-inch D-ILA full HD liquid crystal device is smaller than its predecessor 0.8-inch device, yet offers full HD resolution (approx. 2.07 million pixels: 1,920 horizontal x 1,080 vertical). Volume production of the new device will commence in August. JVC is also developing the next generation of high-resolution imaging technologies for use in full HD displays. JVC plans to release full HD projection televisions in Japan and North America that will make use of the new device and the company’s next generation high-resolution imaging technologies. The latest 0.7-inch D-ILA full HD device is the same size as JVC’s 720p (approx. 920,000 pixels: 1,280 horizontal x 720 vertical) 0.7-inch diagonal D-ILA liquid crystal device, yet delivers full HD resolution at approx. 2.07 million pixels. The development of an identically sized device enables JVC to standardize production equipment and manufacturing processes to achieve high quality and reliability, as well as cost savings due to enhanced production efficiency. The latest device also makes use of new pixel surface smoothing technology that delivers high reflectivity to achieve the brightness demanded from devices used in consumer projection televisions. When combined with the high resolution of full HD technology and the high aperture ratio of reflective liquid crystal devices, the technology makes possible the development of high performance projection televisions that offer smooth, exquisite images from screen edge to screen edge. 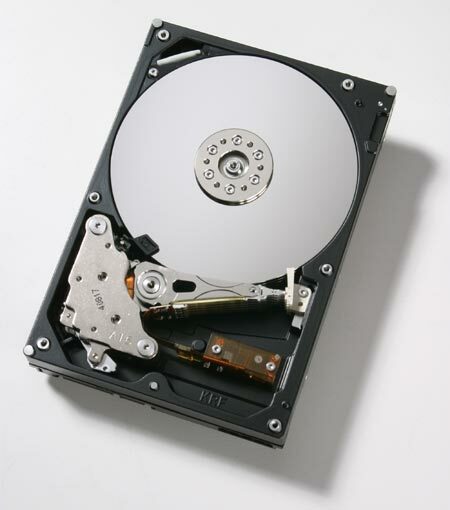 Hitachi Global Storage Technologies (HGST) launched shipments of 500GB Deskstar 7K500 hard drives introduced at IDF and CeBIT 2005. The 3.5" novelty features Serial ATA II interface based on a single-crystal NCQ-enabled controller and, besides, personal computers, is expected to be used in NAS and digital video solutions. Other features of Deskstar 7K500 include the Smooth Stream technology based on ATA-7 AV Streaming Feature Set for video stream optimization and Rotational Vibration Safeguard for multuple-HDD configurations. EMC announced major improvements to its EMC CLARiiON family of networked storage systems and software, including new UltraPoint Technology that provides customers with better availability and reliability as their environments scale and become more sophisticated. EMC also expanded the functionality of its CLARiiON software to help customers more effectively manage and protect their information throughout its lifecycle. EMC also announced four new models of its CLARiiON Disk Library (a simple-to-deploy, easy-to-use disk-based backup and recovery solution). The new CLARiiON CX300-s, CX500-s, and CX700-s Fibre Channel and iSCSI models are based on UltraPoint hardware and software technology that combines point-to-point connectivity to individual disk drives with advanced diagnostic capabilities. The Virtual LUN Technology enables CLARiiON customers to move data seamlessly within a CLARiiON system to improve performance and capacity utilization. 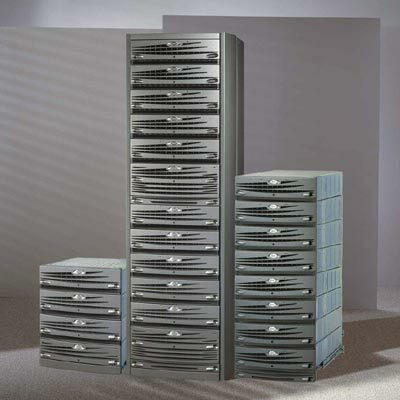 DC power capabilities for the Network Equipment Building System (NEBS) Level 3 and European Telecommunications Standards Institute (ETSI) EN 300 386 certified CLARiiON CX Series brings storage capabilities to customers in mobile and remote environments. The list of new Clariion products includes DL310 (3.8-37.5 TB), DL710 (up to 174TB), DL720 (up to 174TB); DL740 (dual Clariion CX700; up to 348TB). Prices for these start from $110,000. UltraPoint Technology will be generally available in September 2005. The CLARiiON software enhancements and new EMC CLARiiON Disk Libraries will be generally available in August 2005. All of the announced EMC CLARiiON product offerings will be available directly through EMC and through its worldwide Velocity Channel and distribution network. In September, Dell plans to offer the CLARiiON UltraPoint Technology under the Dell|EMC brand, adding to its existing portfolio of Dell|EMC CLARiiON AX and CX systems. AMD announced that its dual-core technology is now available through the AMD64 Longevity Program, serving high-end embedded designs that require stable, longer-than-standard processor supply roadmaps. The Dual-Core AMD Opteron™ processor Models 165, 265 and 865, as well as the lower-power 55 watt version of each, are planned to be available for five years, allowing embedded designers to enjoy the performance of true x86 dual-core technology in thermal and power envelopes that these markets demand. AMD64 processors are currently being designed into a number of forthcoming high-end embedded systems. Beyond network storage and telecommunications, industries such as military computing, homeland security and medical imaging should also recognize the performance and efficiency of dual-core technologies. In addition to offering support and supply longevity, AMD is further enabling the embedded design community with a new upcoming Reference Design Kit from Critia Computer, Inc., expected to be available in Q3 of 2005. This RDK represents a Compact PCI design and will help speed customers’ development of communications infrastructure and high-end embedded products.